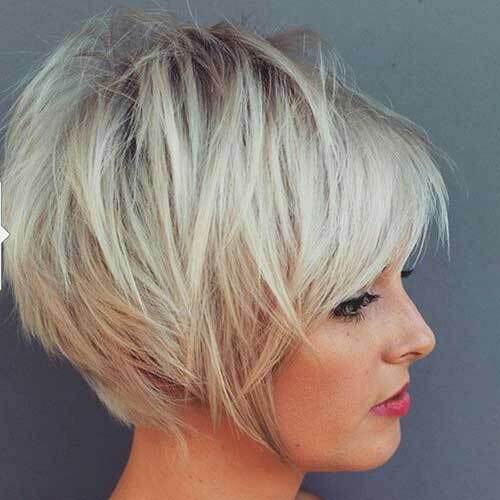 Stacked back would be the best idea to create some texture and volume at the back of the hair. 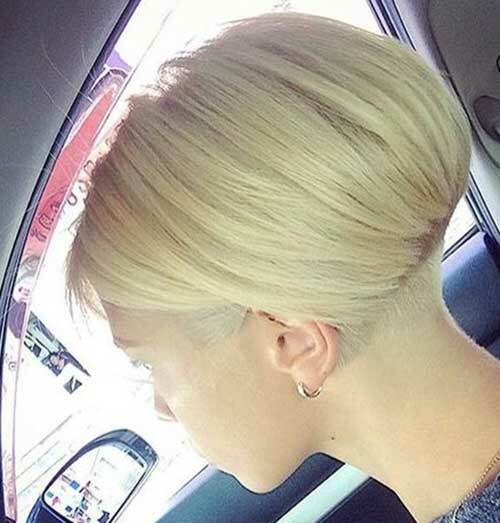 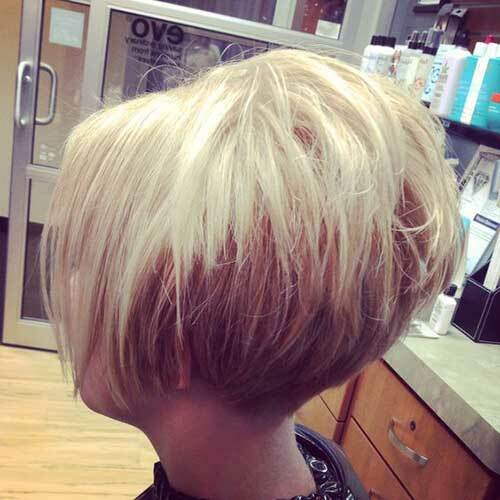 Stacked style is a dramatic way of layering that allows women play with their short haircuts. 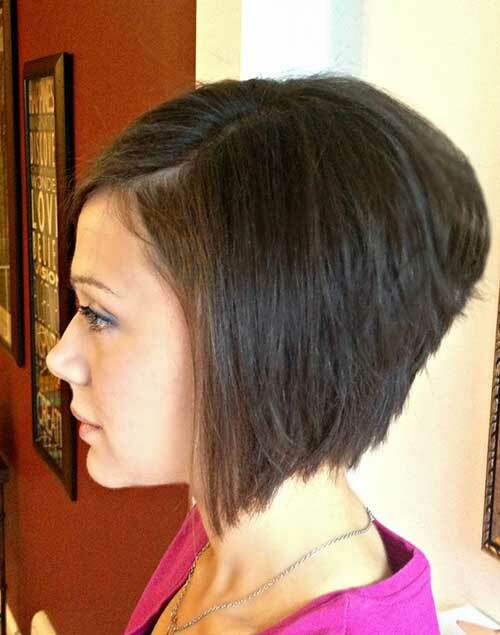 You will find mostly the back view of stacked short hairstyles that will help you to choose the best haircut. 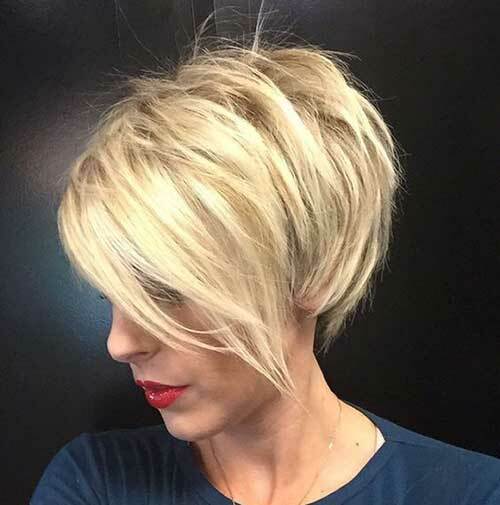 Layering is the key to stacked hairstyle, this short pixie bob hair is slightly stacked that creates nice volume back of the hair. 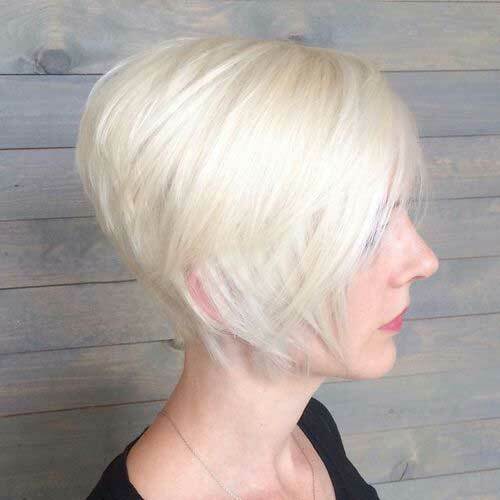 This kind of tapered and stacked bob hairstyles are perfect for mature women who want some texture and volume for their short hair. 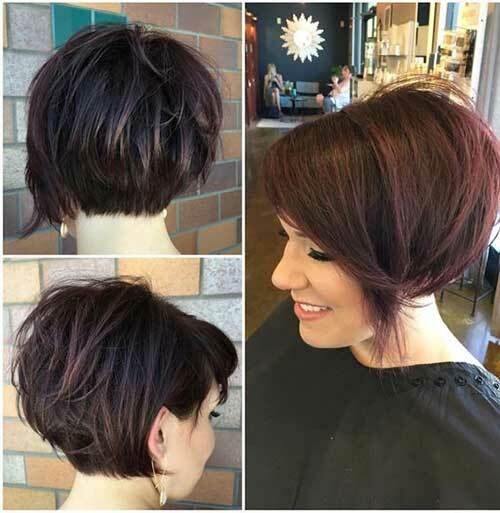 Stacked layering looks great with angled bob haircuts as you can see this red short bob looks definitely stylish and modern. 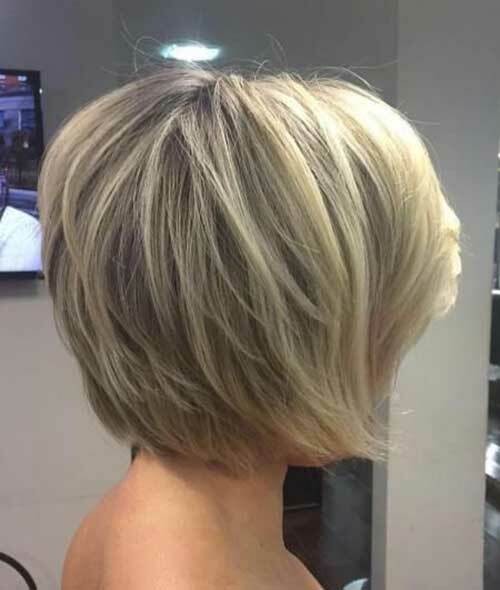 Blunt bob hairstyles can be stacked too, this blonde short bob with stacked back can be inspiring for some women. 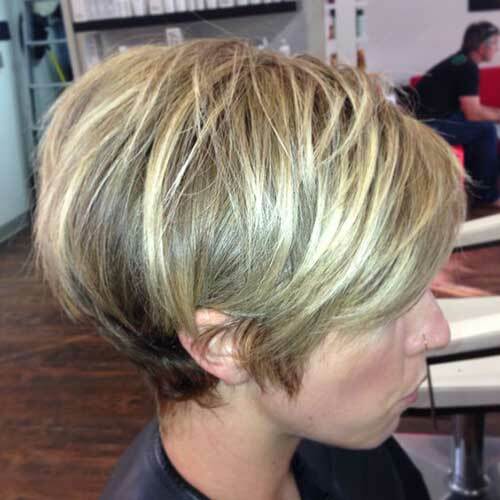 Golden blonde hair color, layering,and messy texture is excellent idea for casual and chic styles. 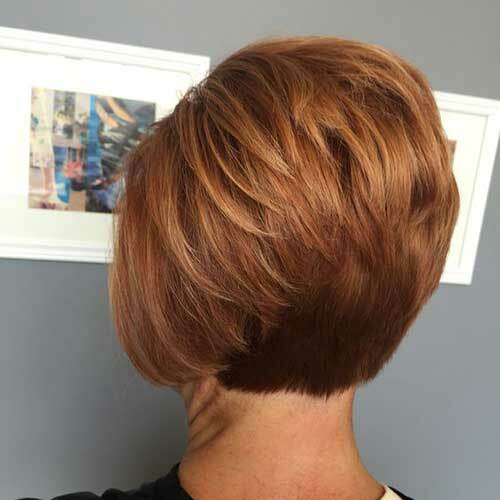 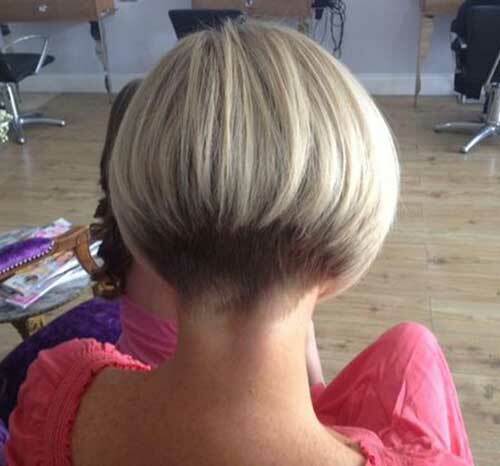 Highlights and layering make this long pixie cut much more modern and desirable. 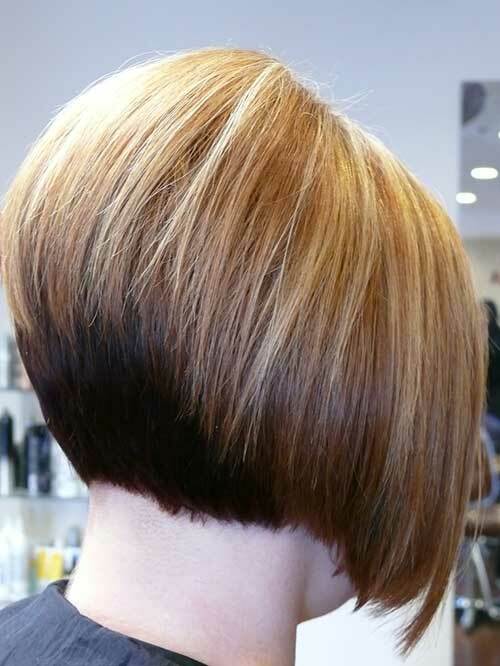 Multiple hair color is very popular and it adds a really cool and modern style to short bob hairstyles. 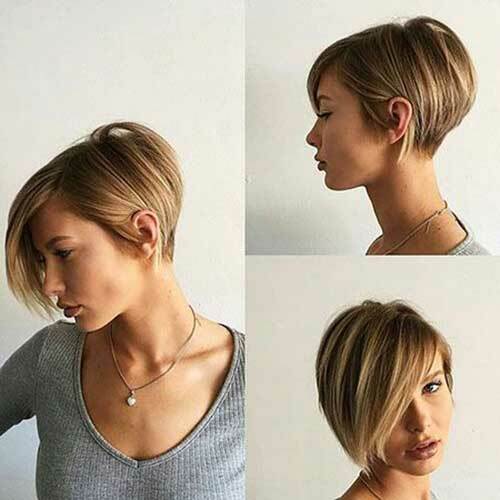 A-line haircuts are perfect for ladies with thick hair, stacked style also creates a lightness and movement at the back of the hair. 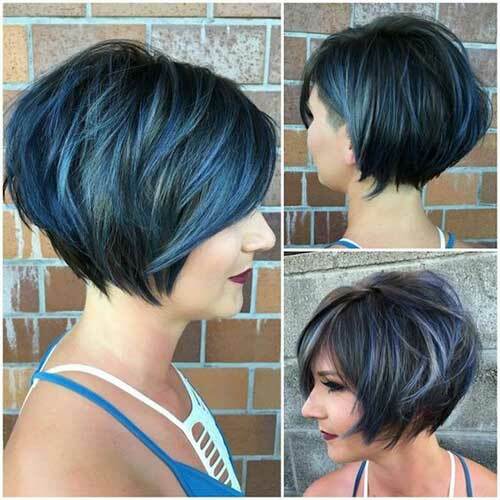 This simple short bob hairstyle with layering would be a nice choice for middle-aged women who want to look stylish and younger. 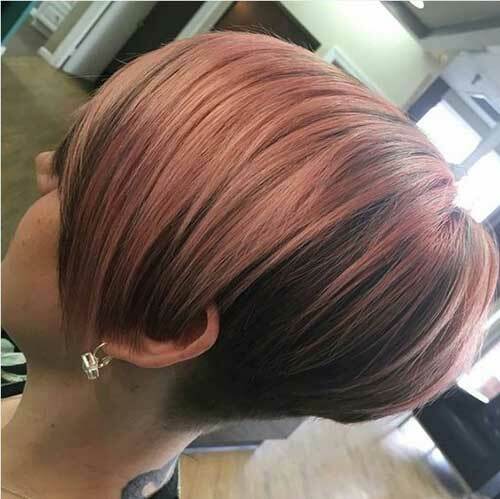 We end our gallery with this beautiful tapered stacked bob hairstyle that is cut shortly and colored with platinum blonde and copper brown.